These House Rules apply to the hotel (hereinafter referred to as the “Accommodation Facilities”). The Accommodation Facilities can only accommodate guests who are properly registered. 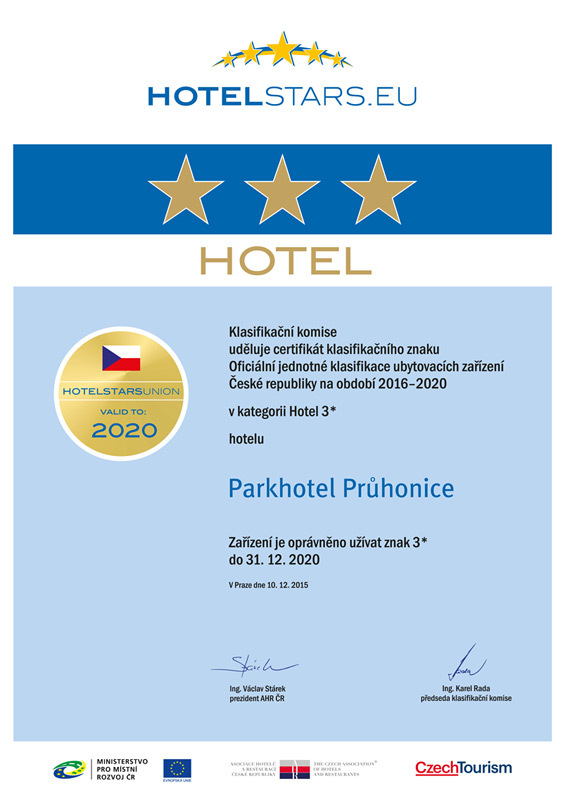 For the purpose of registering, guests are required to present a valid national identity card, passport or other proof of identity to the applicable hotel employee immediately upon arrival. The Accommodation Facilities will issue a Registered Guest ID Card at the check-in time, which specifies the room number, the price for a one-day stay and the prices for any additional services. Upon reentering the Accommodation Facilities, guests are obligated to present a valid Registered Guest ID Card. Only people not suffering from any infectious diseases are allowed to use the Accommodation Facilities. In special cases, the Accommodation Facilities may offer guests accommodation other than the one that was booked, under the condition that the accommodation provided does not vary from the original confirmed booking in any significant manner. In the case of accommodation booked in advance, the Accommodation Facilities are obligated to accommodate guests by no later than 5:00 p.m. but not earlier than 2:00 p.m. The room remains reserved until 6:00 p.m. on the arrival date, unless agreed otherwise. The Accommodation Facilities may offer guests who ask to extend their stay a room other than the one in which they were originally accommodated. The Accommodation Facilities are liable for any damages to stored items on the condition that the items were stored in a location designated for this purpose or in a location where such items are generally kept. 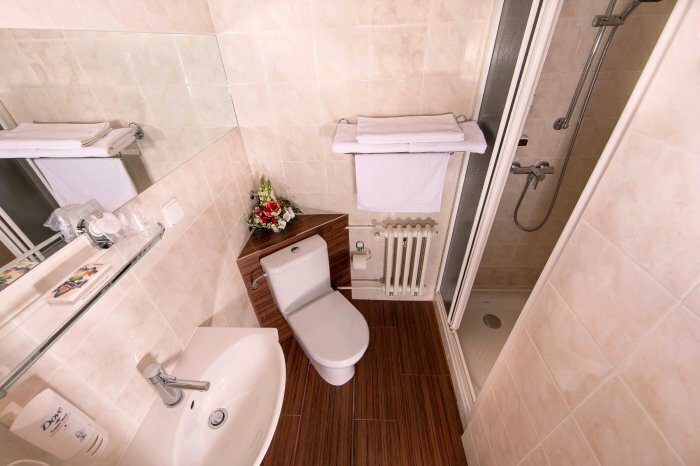 The Accommodation Facilities are liable for cash and items stored in the hotel room safes up to an amount of CZK 30,000.00. Larger sums of money and more valuable items must be stored in the hotel safe in the hotel’s reception area, whereby a confirmation receipt for the items will be provided. Guests can receive visitors, who are not accommodated at the facilities, in their rooms between the hours of 8:00 a.m. and 10:00 p.m. and only with the consent of the appropriate Accommodation Facilities employee. In the event that a guest becomes ill or is injured, the Accommodation Facilities will ensure that medical assistance is provided and, if required, make arrangements for transport to the hospital. The Accommodation Facilities provide accommodated guests with services in the scope specified for the applicable category. If a double room is booked for a single person in advance and the booking is confirmed immediately, the Accommodation Facilities will bill only the per person charge for a double room. 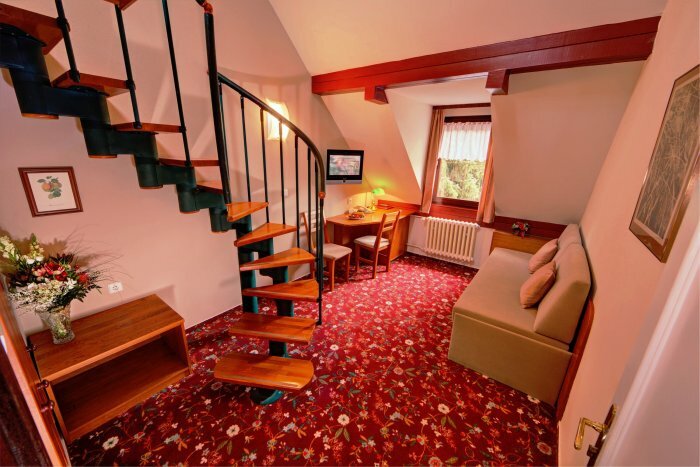 Guests will use the room for the period of time for which the booking with the Accommodations Facilities was made. If a specific period of accommodation is not specified in advance, guests must check out by noon of the last day of their stay and vacate the room at that time. If a guest does not check out by the required time, the Accommodation Facilities have the right to charge the guest for an additional day’s stay. Guests who check in before 6:00 a.m. will be charged for the preceding night. Unless the consent of the Accommodation Facilities management is obtained beforehand, guests cannot move any furnishings, make repairs or interfere in any way with the electricity network or any other installation in either their room or any communal areas of the Accommodation Facilities. Guests are not allowed to use any personal electronic equipment on Accommodation Facilities premises, especially in their rooms. This does not apply to items used for personal hygiene (shavers, massage devices, hair dryers, etc.). At the time the room is vacated, guests are obligated to ensure that all water taps and lights are off, to lock the door and to return the key to the reception desk. For security reasons, it is not permitted to leave children under ten years of age without adult supervision in the room or any communal areas of the Accommodation Facilities. Dogs and other animals can stay at the Accommodation Facilities only if their owner provides evidence of their good health. Guests are obligated to maintain nighttime peace and quiet between the hours of 10:00 p.m. and 6:00 a.m. Guests are liable for any damages they cause to Accommodation Facilities property in accordance with all applicable legal regulations. Vehicles can only be parked in the designated areas of Accommodation Facilities premises. Guests are obligated to pay for accommodation and any other services rendered in accordance with the valid price list. As a rule, payment is required at the end of the stay, however for no more than a one-week stay. The bill is due and payable at the time it is presented. The price list for temporary accommodation and other services is available for viewing at the Accommodation Facilities reception desk. Any complaints or suggestion for improvement on the part of guests should be submitted to the Accommodation Facilities management. Guests are obligated to adhere to these House Rules. Should the rules be breached in any significant manner, the Accommodation Facilities management has the right to withdraw from the agreement for providing accommodation services prior to the end of the agreed-on timeframe.